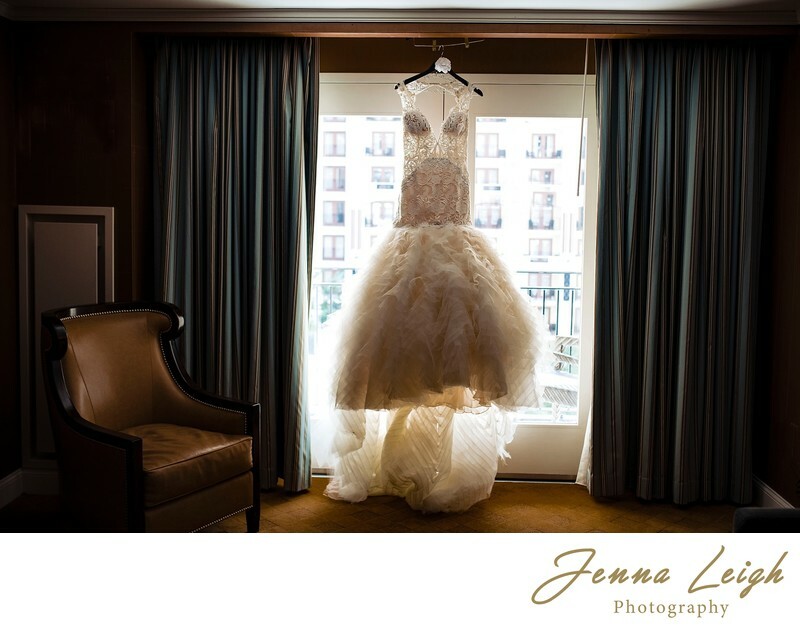 Gaylord National Harbor is one of my favorite DC wedding venues. The interior is very natural with beautiful light flowing in from the massive window and greenery in every direction. There are gorgeous tropical trees everywhere and if you shoot in a certain direction you don't even feel as though you're inside. In every direction I turned the lighting and backdrop was absolutely beautiful. The outside of Gaylord National Harbor is beautiful and unique as well, with a little garden, a hill where you can capture the entire atrium behind you, and the potomac river in front of you. There are no shortage of epic locations at the Gaylord National Harbor. "Escape the ordinary at Gaylord National Resort & Convention Center. Standing on the shores of the Potomac River, our stylish resort offers convenient access to many of Maryland's most beloved attractions, including the Capital Wheel and MGM National Harbor®. There also are plenty of things to explore right under the roof of our hotel. From the 19-story glass atrium overlooking the river and full-service spa to our seven distinct restaurants, you can experience it all"
Location: Gaylord National Harbor .